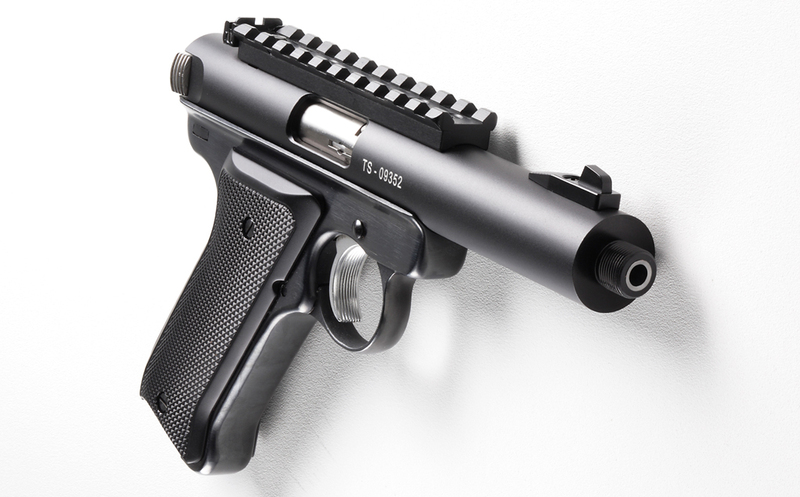 The Pac-Lite is an ultra lightweight and accurate barrel/receiver assembly for the Ruger MKII, MKIII, and the 22/45 semi automatic pistols. Each Pac-Lite is precision machined from solid aircraft aluminum and is equipped with a hardened stainless steel ejector and come standard with Tacsol’s unique front and adjustable rear sights. A Ruger pistol with a Pac-Lite barrel is a perfect combination for Junior and beginning shooters as well as the top competitive shooters.